We know you had good intentions. But that list of home improvement projects you planned to get done over the summer, well... There was that spur of the moment vacation. Then Ed, known for his great parties, invited you to a cookout. And it isn’t your fault you got a hammock for your birthday, right? The good news is, it’s not too late to scratch some home improvement projects for fall off your list before winter sets in. In fact, fall is the perfect time for certain tasks. Some things you just can’t tackle when the snow flies. Others will protect your home from winter’s wrath. Get ‘em done now. You wouldn’t want to miss Ed’s holiday party. Remember those balmy summer breezes? Well, suddenly they’re not so balmy. Soon they’ll turn into frigid winds that will blast through the nooks and crannies of your home. Not sure where to look? Consider a home energy audit, where experts will inspect your home for cracks and gaps where warmth will seep out and winter’s blast will sneak in. Energy auditors will inspect your home’s caulking and weather stripping and likely check your attic. If the attic insulation is at or below the level of the joists, you could benefit from adding more. A depth of 10 to 14 inches is considered ideal. Caulk around your windows and door frames to prevent heat from escaping. It will also keep water from blowing in, freezing and causing cracks. The good news? It’s one of the least expensive maintenance jobs. We’ll give it just one $. Pro Tip: Choose waterproof, flexible, crack-proof silicone caulk. Avoid using acrylic caulk, which can shrink and crack over time and allow air and water seep through gaps. You probably don’t think much about your gutters, but they’re crucial to the well-being of your home. Gutters keep thousands of gallons of water flowing away from your house each year, instead of into it. They need your attention now, more than ever. Leaves clog gutters, and clogged gutters are one of the major causes of ice dams in the winter, which can damage your roof and cause catastrophic leaks. An ice dam is a ridge of ice that forms at the edge of a roof and prevents melting snow from draining off the roof. The water that backs up behind the dam can leak into your home and cause damage to walls, ceilings and insulation. Once all the leaves around your house have fallen, clean out the gutters and down spouts, then flush them with water to get rid of all the debris. Inspect the joints. Tighten the brackets if they’re loose. You might invest in mesh guards that will keep leaves and other debris from clogging your gutters in the future. Or, if your gutters have seen better days, replace them with new ones that have built-in leaf guards. If you just need to clean them out, this is a one $ job. Replacing them boosts the cost. Pro Tip: Pick up a gutter cleaning scoop for just a few dollars at a home center or hardware store. This tool, often bright orange plastic, is specifically designed for the job, with a front scooping edge that forms itself to the bottom of the gutter trough, making it easy to scoop out debris. 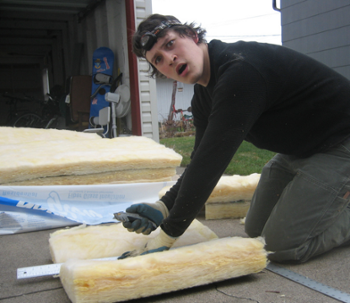 You don’t want to tackle this chore when it’s snowy and freezing cold. There are all kinds of tasks to do out here. Weed out clutter you no longer use. Clean and store your summer garden tools. Drain the fuel from all gas-operated equipment such as lawn mowers, leaf blowers and chain saws. Check to see that all of your snow equipment is up and running before the first flurry falls. You don’t want a sudden scramble when the snow starts piling up and you need your shovels, roof rake and snow blower. A basic clean-out costs nothing but your time. Spring for specialized storage and this becomes a two or three $$$ chore. Pro Tip: Go vertical with storage. 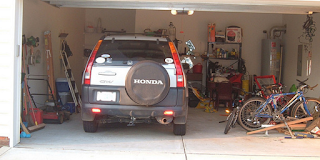 Fill your garage walls with shelving to get items up and off the floor. Experts recommend shelves of 18 inches deep or less. 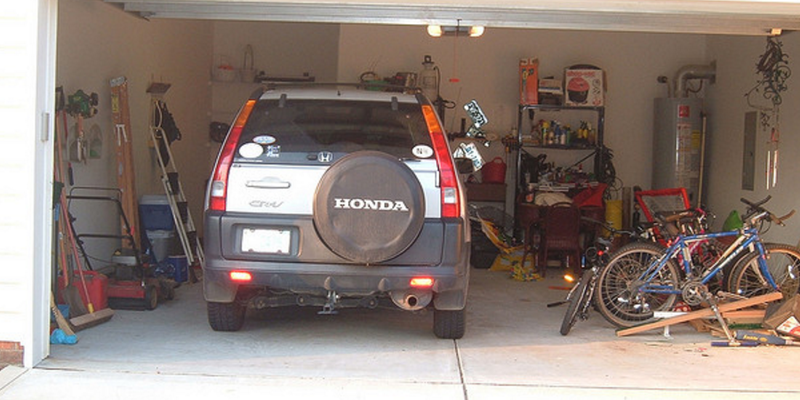 Wall system storage designed specifically for garages helps get bikes, garden tools, coolers and outdoor toys off the floor. So you’ve tackled your fall to-do list like a champ. Now, what to do with those old gutters, damaged roof shingles and boxes of junk from the garage? Toss them in a Bin There, Dump That bin — along with your completed list of fall home repair projects. Good riddance. All those chores wore you out. Getting rid of the debris is the easy part. 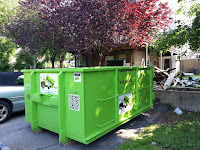 Carry the mess directly into your residential dumpster bin through the convenient rear doors, instead of hoisting it up over the sides. And while you’re at it, check with your neighbor to see if they want to go in on renting a dumpster with you. 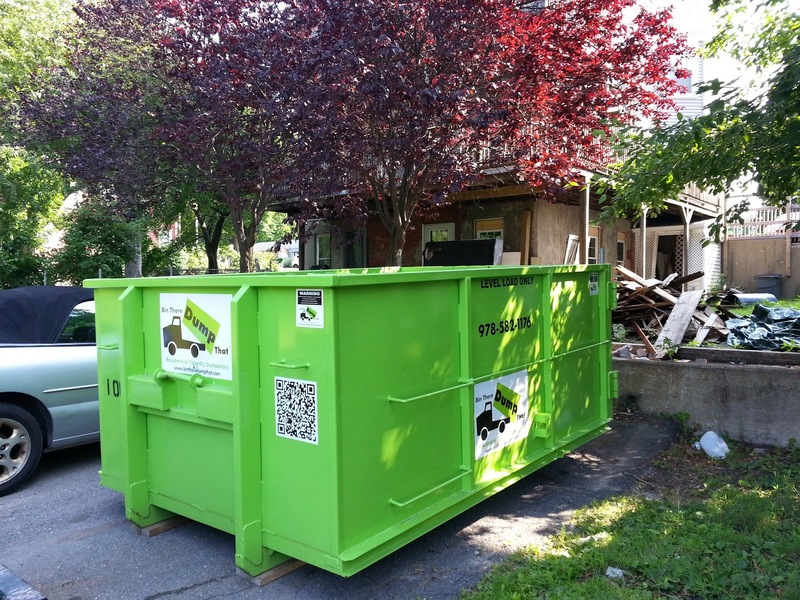 Find a dumpster rental operator near you. Then, tell winter — and Ed — you’re ready.